Our deluxe queen room fitted with one queen size bed and comfortably accommodates up to two guests. 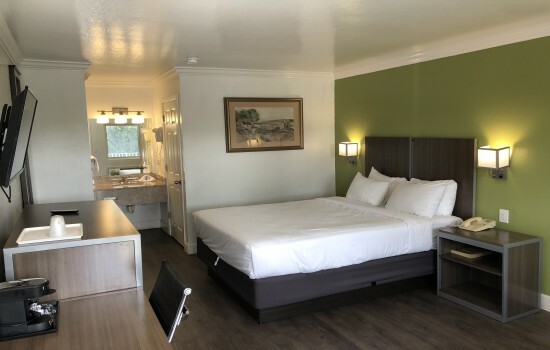 Additional conveniences include complimentary WiFi, a flat-screen TV, a desk, telephone, free local calls, and a refrigerator and microwave. Our deluxe king features hardwood floors, modern décor, and personal climate control. The private bathroom includes soft towels, a hair dryer, and complimentary signature toiletries. Our well-appointed deluxe double queen room fitted with two queen size beds and comfortably accommodates up to four guests. 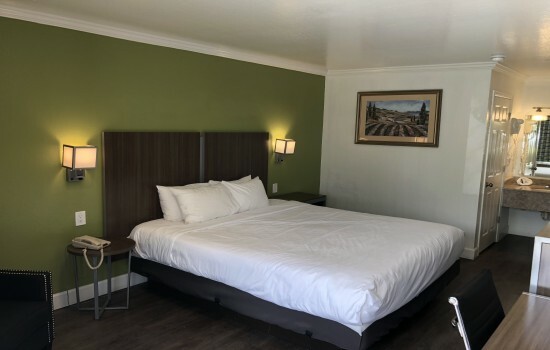 Additional conveniences include complimentary WiFi, a flat-screen TV, a desk, telephone, free local calls, and a refrigerator and microwave. Our deluxe double queen features hardwood floors, modern décor, and personal climate control. The private bathroom includes soft towels, a hair dryer, and complimentary signature toiletries. This spacious room is fitted with one king bed and comfortably accommodates up to two guests. 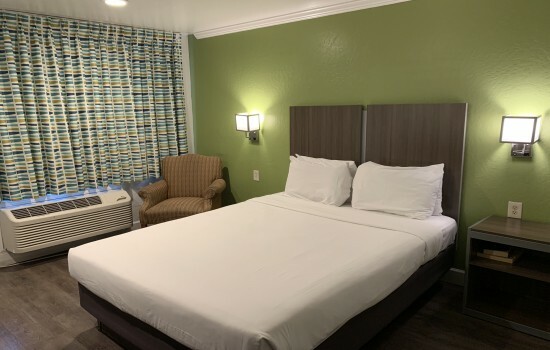 Additional conveniences include complimentary WiFi, a flat-screen TV, a desk, telephone, free local calls, and a refrigerator and microwave. Our deluxe king features hardwood floors, modern décor, and personal climate control. The private bathroom includes soft towels, a hair dryer, and complimentary signature toiletries. Our accessible deluxe queen room fitted with one queen size bed and comfortably accommodates up to two guests. This room offers a host of accessible features for the comfort of our guests. 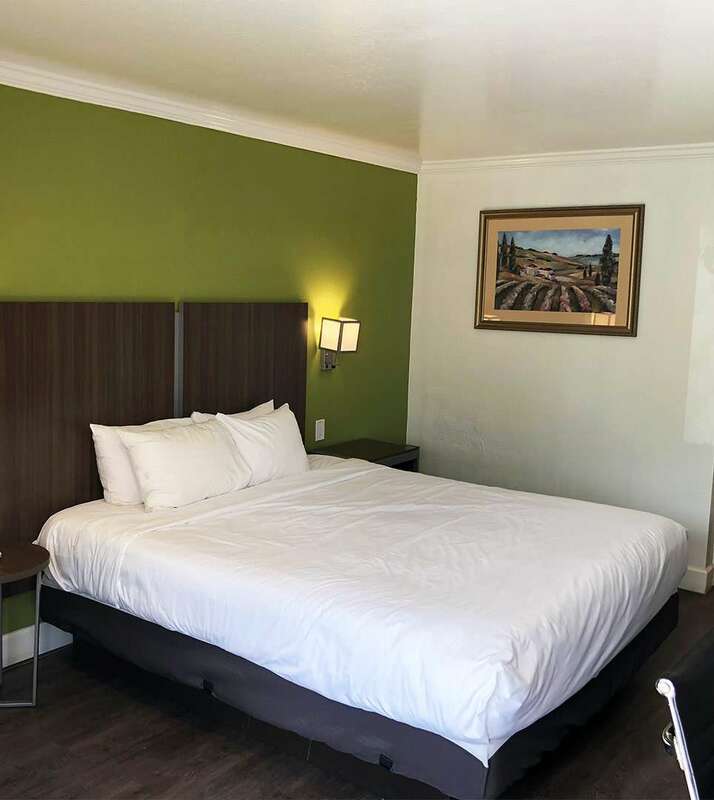 Additional conveniences include complimentary WiFi, a flat-screen TV, a desk, telephone, free local calls, and a refrigerator and microwave. Our deluxe queen room features hardwood floors, modern décor, and personal climate control. 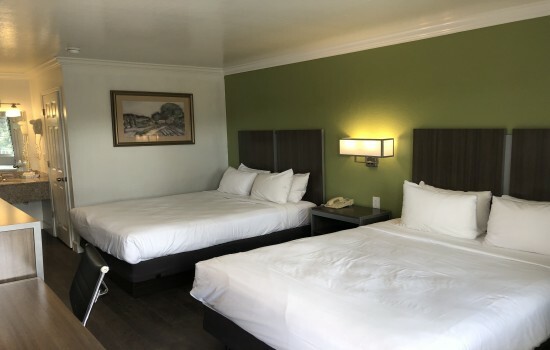 The private bathroom includes a shower with a shower seat and a removable handheld shower wand, a raised toilet seat, lower mirrors, towel hooks and racks, soft towels, a hair dryer, and complimentary signature toiletries.